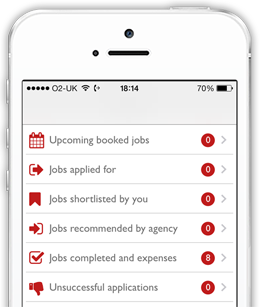 Staffing Database, Job Management, Payroll and Event Reporting - Staffwise. Campaign KPI's and data analysis. Why don't you check the full features? Staffwise provides tried and tested staffing database solutions, making it easier for you to keep track, report and effectively manage your staff. Our database software has been designed specifically for the staffing sector, and is packed full of features which have been developed with the needs of staffing agencies in mind. 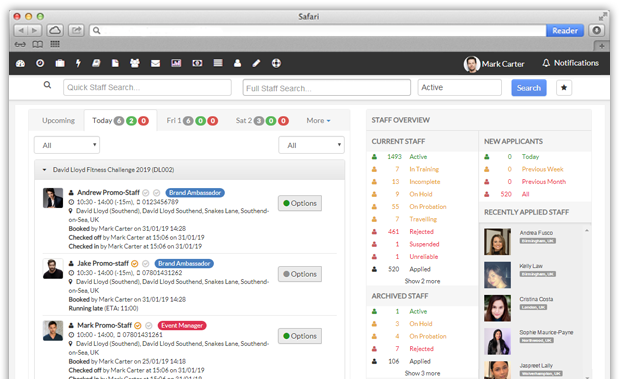 Our database and staff management software suite is currently used by a number of the leading national promotional staffing agencies and with their help, continues to be improved, making our staff database software the best solution to meet your needs. To make our staffing database as simple as possible we opted for a web-based solution, allowing data to be shared efficiently throughout your organisation, from any location. This, we believe, gives our staff database a distinct advantage over some of our competitors, which instead are server or desktop based, making sharing more difficult, expensive and inefficient. Learning how to use Staffwise is also easy, as it has been designed to allow anybody who is familiar with using the web to use it, right out of the box, without lengthy instruction. This, if you’re already using an alternative staffing database solution, makes the process of moving over to Staffwise straight forward. In addition to accessing and manipulating data online, it is also possible to export data through to CSV, XML and Excel formats, making it easy to take your data offline to imported to other third party tools and applications, including many of the leading CRM platforms. 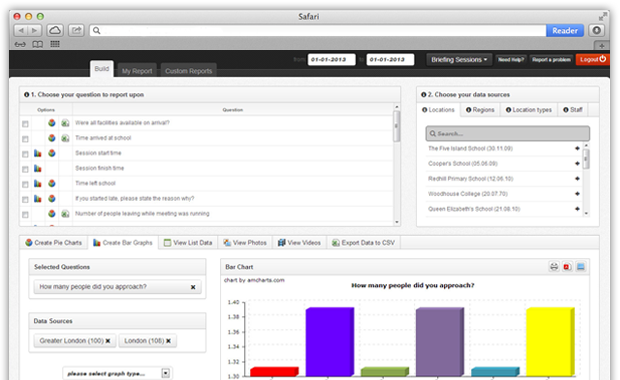 Got a question, or want to take the Staffwise staffing database for a test drive? Then get in touch! 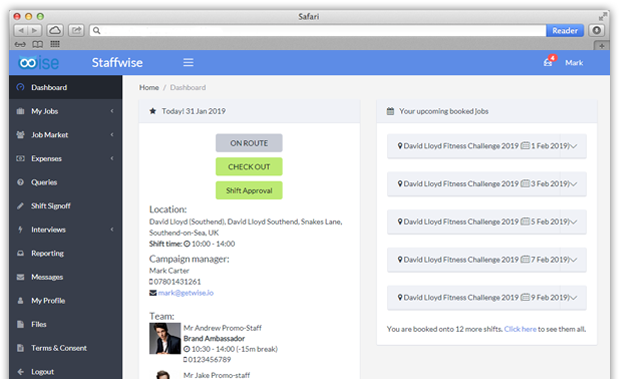 You can do so using the contact form provided on our website, where you will be able to speak directly to one of our sales representatives who will be able to both provide you with any additional information you may need and to set up a live demonstration, so that you can try and see Staffwise first hand before.